Q. What is a hostel? A. 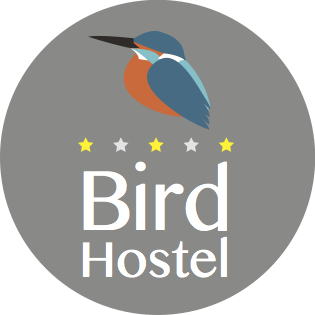 The hostel is a lesser expensive way to lodge safely with like-minded travelers around the world. Hostels are most well-known for having dormitory-style rooms, often with bunks. Q. What is a dorm room? A. The dorm room means you?ll be sharing your room with other travelers. It?s the cheapest option and the best room type to stay in for meeting fellow travelers. A. No, smoking is not permitted on the premises. Q. Do you have breakfast? A. We don?t serve breakfast, but we do have a café. Q. What kind of pets are allowed? A. No, pets are not allowed. A. Yes and no, we advise you to be in the dormitory room by 24:00 (12:00 am) to 7:00am b. The doors will be locked but we do have a security code that can be used. A. The hostel reception hours are from 7:00 am to 22:00 (10:00 pm). Q. What do I need to check in? A. You need your passport to check in. If you reside in Japan you can use your Japanese residence card to check in. A. We provide fast wifi for all our guests. Q. Do you have lockers? A. Not on the premises, but there are parking lots around the hostel where you can park your car for a fee. Q. Do you have luggage storage? A. Yes we do, we offer free baggage service. You can leave your baggage with us from 7a.m. on the same day your scheduled for check in. You will be charged if you want to store your luggage prior to your check in day or after your check out day. Q. Do I need to bring my own towels? A. If you like. We have rental towels on the premises. Q. How does the cleaning work? A. The cleaning is everyday from 11:00 am to 14:00 (2:00 pm). A. Please refer to our website to view our cancellation policy. Q. Are children allowed in the dormitories? A. Children over the age of 13 may stay with their parents in the dormitories. Children under the age of 13 can be accommodated with their parents in a private room on the third floor. Private rooms require advanced booking. Price for children and adults are the same.